Arthur Boyd, Man launching boat, 1940 (detail), oil on canvas on board. Bundanon Trust Collection. 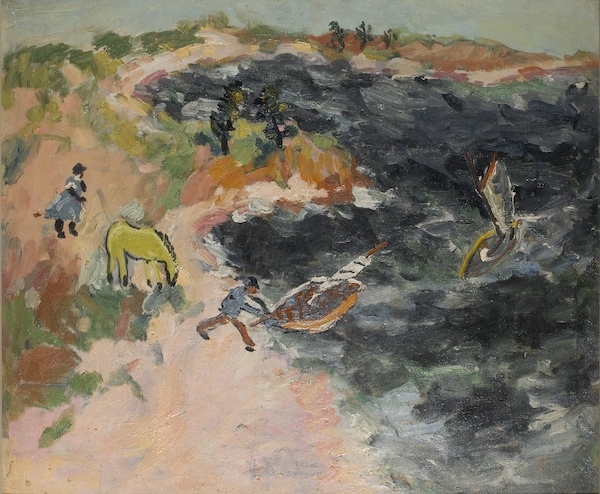 This exhibition considers the landscape in Arthur Boyd’s work from youthful plein air subjects celebrating light, to the final phase of Boyd’s career depicting the Shoalhaven on the south coast of New South Wales. Between his beginning and end, weaving a peripatetic existence spanning Australia, England and Europe, there was also the landscape Boyd carried within himself – not merely topographic, but a psychic sense of place.